I just published this new instructional magazine, and I am really happy with the way it came out. I have been teaching classes and doing demonstrations based on the concepts in this book for a year now. 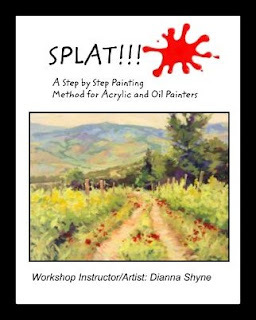 SPLAT!!! makes me really happy because it incorporates careful planning with fresh playful brush technique. The magazine is affordable and easy to understand. I really hope my students and past students pick up a copy. 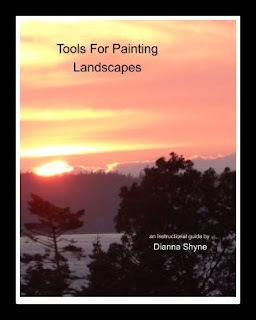 I published "Tools for Painting Landscapes last spring. It is based on class noted I took during a William Reese Workshop I attended in 1994. The next magazines, (coming Soon) will be on creating color harmony, perspective, and values and light. 2012 Dianna Shyne. Awesome Inc. theme. Powered by Blogger.